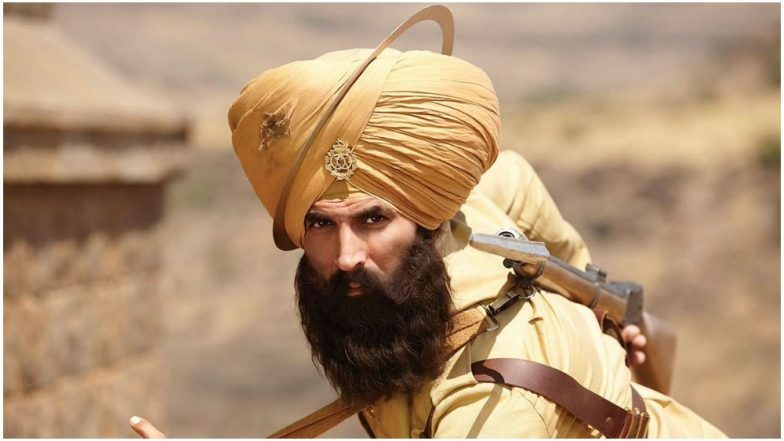 Announcing the updated figures, film trade analyst Taran Adarsh wrote on the popular microblogging site Twitter, "#Kesari is steady... Has few more days to add to the total, till #Kalank arrives [on Wed]... [Week 3] Fri 1.65 cr, Sat 2.62 cr, Sun 3.23 cr, Mon 1.20 cr, Tue 1.02 cr, Wed 1.02 cr, Thu 95 lakhs. Total: ₹ 147.21 cr. India biz." He also tweeted, "#Kesari biz at a glance...Week 1: ₹ 105.86 cr [8 days], Week 2: ₹ 29.66 cr, Week 3: ₹ 11.69 cr. Total: ₹ 147.21 cr. India biz. HIT." Co-produced by Dharma Productions, Azure Entertainment, Zee Studios and Cape of Good Films, the historical drama is Kumar's 10th film that has become a part of Rs 100 crore club. Kesari is based on the epic Battle of Saragrahi which was fought between 21 Sikh soldiers and 10,000 Afghan invaders in 1897.